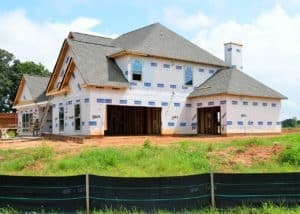 You don’t have to look at the statistics to know that residential new construction is booming in many areas of the country including in and around Atlanta. Both first time and “move-up” buyers are deciding to be the first occupants of a new home, but what are some of the reasons these buyers are deciding to go through the process of building? Today’s new homes offer more benefits than ever before; in terms of technology, energy efficiency, and style. This is the first of a series of articles outlining some of the reasons many buyers are making the choice to build from the ground up, or buy a home at some point that is under construction. Over the last decade, even homebuilders selling homes at the lower price range of the new construction market have allowed buyers to influence the design by picking from pre-selected options for flooring, cabinets and both interior and exterior colors. Generally, as the price increases, the number of choices available will also increase. Buyers may be invited to a builder design center, where they can choose from a greater selection of floor coverings, cabinets, granite, fixtures and other design elements. Most often, builders group these elements into various “levels” that are associated with a charge to upgrade to the next level. For example, builders might offer two standard choices for granite countertops with a wider variety of granite available at level two and three, and selections of other materials, such as quartz or marble at level four. New construction nowadays generally reflects an open design where rooms serve multiple purposes. Many buyers are drawn to new construction because of open floor plans, which encourage a more modern relationship between what was once designated as a family space and a defined separate space to welcome and entertain guests. In an open concept home, the kitchen becomes the hub of the home, offering island or countertop-height seating as a space to snack, do homework, or assist with meal preparation. Kitchens generally serve as a central hub of a larger single gathering space, where members of the household can engage in a variety of activities within earshot and sight of each other. The open layout also allows family members and guests to interact and work together, and meal preparation often becomes part of the event. This open concept replaces formal spaces that were once divided, and often seldom used.